Flyleaf and POD are co-headlined this concert at the Machine shop in Flint, Michigan; with Stars in stereo opening. Kristen May once again puts on an amazing show with Flyleaf. 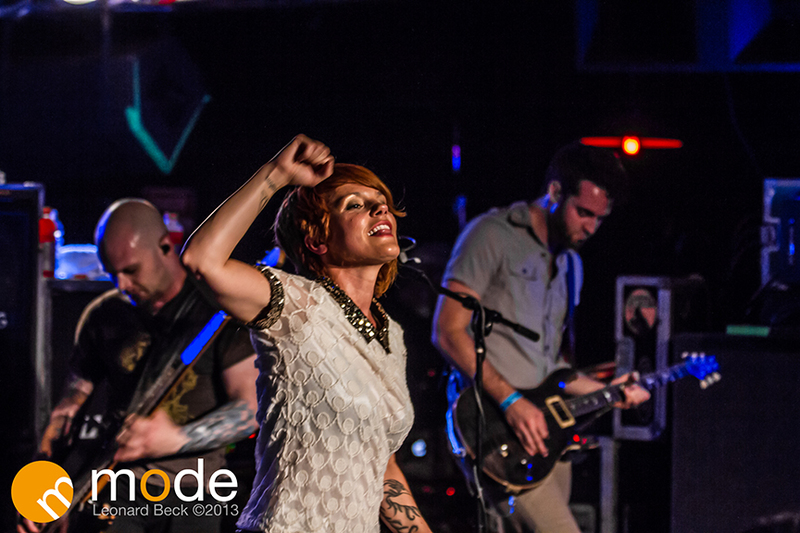 Her outstanding vocal range and active stage presence seems to meld perfectly with Flyleaf’s style. May sings Flyleaf’s hits like they were her own songs with the same amount of passion that went into them when they were written. Sonny from POD came on stage to perform a song they collaborated on. With any major change in a bands line-up there will be doubts, but after this show I have none. I strongly recommend seeing them when they come to your town. MODE interviewed Kristen May and Jared Hartmann, which we will posting the video very soon. Make sure to come early and see Stars in Stereo. They are a upcoming band who has some great songs. To view larger size images click on the thumb nail images below.